D4R are proud to announce the opening of the first House of adidas in Scotland, which is the second one in the UK along with Harrods! Which is also designed, developed and implemented by D4R. Greaves which is the oldest family owned sports retailer in Glasgow, has showcased this new £1m development within their flagship store on Gordon Street. 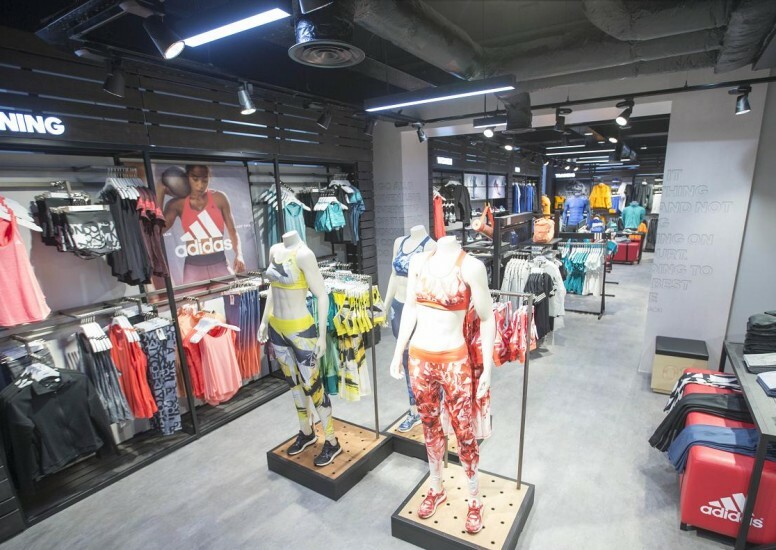 The shop-in-shop opened to wide acclaim on the 23rd March is a haven for adidas fans which only offers the best of the best and encourages the customers to engage with the brand across many of their key concepts. We are over the moon that we have been involved with this process and get to see the whole design unfold. There has been fantastic media coverage about this development as it is a great addition to the city, a huge global brand such as adidas teaming up with an iconic Scottish retailer. Such press as The Herald Scotland, Drapers and The Evening Times as well as many other online sources.